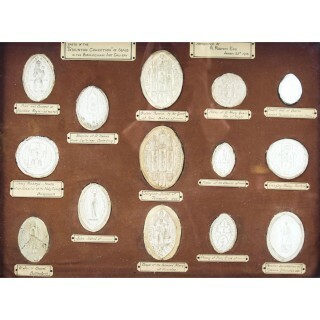 This is magnificent and rare arrangement of fourteen framed antiquarian’s plaster intaglios of Medieval seals, dating from the early 20th Century. 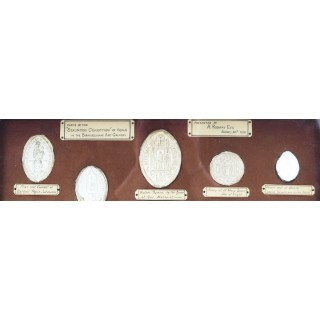 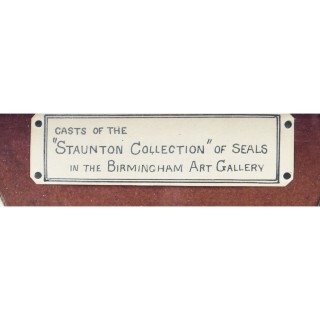 This stunning set of intaglios features the Casts of The “Staunton Collection” of Seals In The Birmingham Art Gallery. 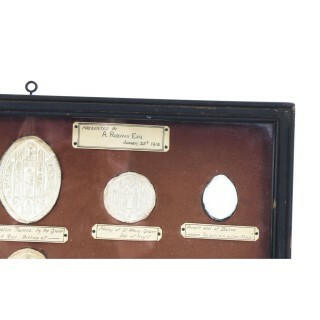 It comprises the Collegiate Church of Tamworth, the Prior and Convent of Hatfield, the Hospital of St. Thomas of Canterbury, the Langley Abbey of Norfolk, and various prelates, abbots and other ecclesiastical institutions. 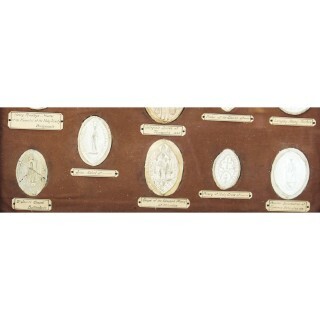 Intaglios – were originally used as seals, these carvings or cuttings are moulded out of white plaster, marble dust or wax. 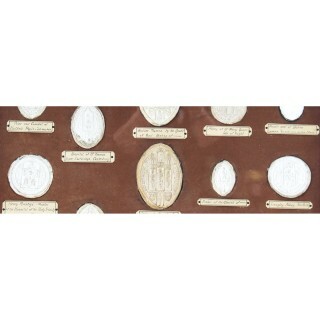 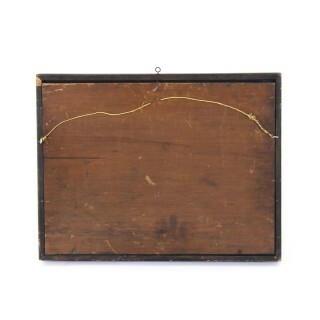 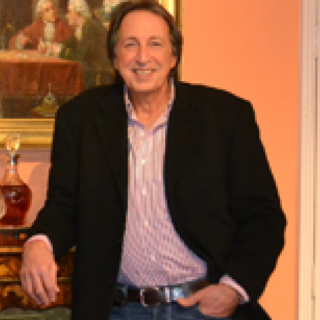 The original 19th-century intaglios were also made from wood or stone. 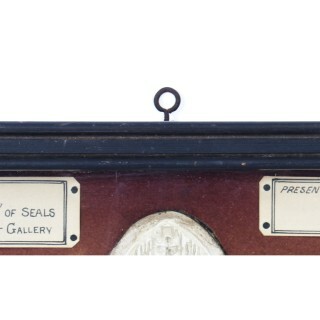 The depressed designs depicting ancient scenes from Greece, Italy, etc were also used as markers of the land. 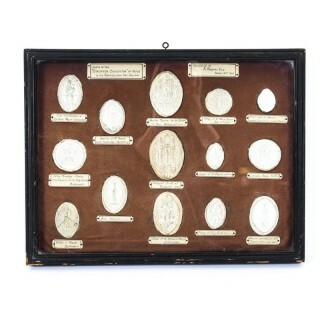 They were also collected as souvenirs from European Grand Tours in 1830.